It’s here – the zombie apocalypse is upon us! If this announcement troubles you at all, fret not, for all you need are trusty old mushrooms and some pea shooters to deal with the mayhem. That’s right, PopCap’s much anticipated Plants vs. Zombies 2 has just been officially released worldwide for iOS devices, and even better, is available for free like we mentioned before. The launch of the game was yesterday announced by Apple through its Facebook page for iTunes App Store, claiming that the game will be available for download worldwide on August 15. The announcement showed a zombified hand coming out of the dirt, with the caption “Guess what game is coming tomorrow?”. 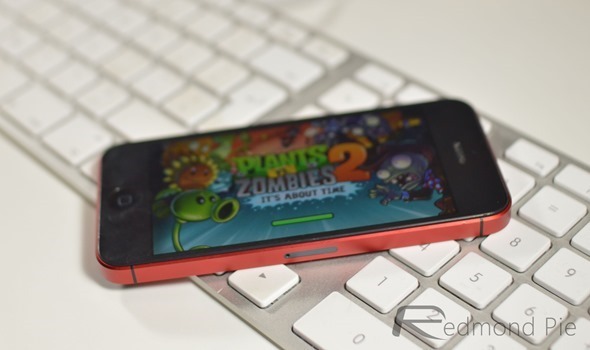 The second iteration of Plants vs. Zombies was originally scheduled for a launch on July 18, but developer PopCap decided to push it back to improve its in-app purchase system for the anticipated title. 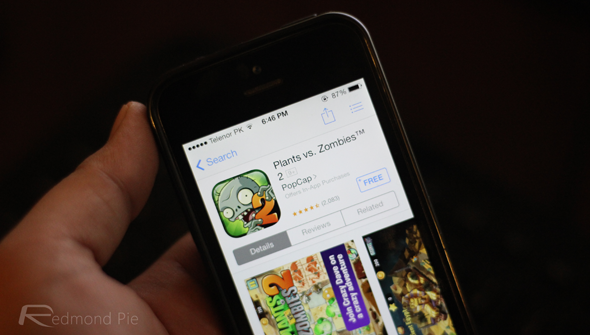 Speaking of in-app purchases, this time around, the pricing model is different, and for good, because PopCap has released PvZ 2 as a “fremium” title, meaning that you can download the game for free and get additional features through in-app purchases. This gets even better, because the game will mostly be available in the free version, with IAPs being used only for improving the gaming experience further. As far as the gameplay goes, the lane defense style still prevails, although now you’ll be travelling to new locations as well. You get new plants, too, and much more powerful ones at that. The downside is the fact that most of the stronger versions cost you a few bucks, so unless you are serious about protecting your brain, you might be a little disappointed. There are new zombies, too, as well as fighting on the seas, railroads, and even in the wild wild west! Plants vs. Zombies has always been hailed as one of the best lane defense games ever created, and the second version of the game is nothing short. While the in-app purchase mechanism is one that might put some people off, we’re generally not complaining because it’s something that you’re getting for free, for a great game that would’ve otherwise required paying $5 (price for the previous game). So far, the game has been receiving really positive reviews from critics all over, and we’ll wait to see if the trend continues going forth. You can download the universal game at the link below.